Abraham Lincoln was the 16th President of the United States and lead the country through the most divisive and devastating time in our history – the Civil War. Abraham Lincoln is also one of the most revered U.S. Presidents and is a popular figure in American fiction and historical writings. As such, the legend of Abraham Lincoln was a popular subject in old time radio shows. Abraham Lincoln grew up in the frontier and was self-educated eventually becoming a lawyer then an Illinois state legislator and U.S. Representative for Illinois. 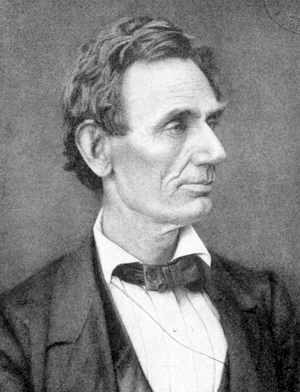 Lincoln was elected President of the United States in 1860 on an anti-slavery platform. The following year the Southern Confederacy declared succession from the union and the United States Civil War began. Two of Abraham Lincoln's greatest accomplishments were issuing the Emancipation Proclamation in 1863 and supporting the Thirteenth Amendment to the United States Constitution which abolished slavery. In 1863 after the decisive Battle of Gettysburg which was one of the bloodiest battles in our nation's history, Abraham Lincoln delivered the Gettysburg Address where he stated his view of the American democracy created "Four score and seven years ago" should be a "government of the people, by the people, for the people, shall not perish from the earth." The Gettysburg Address continues to have an important place in American History and popular culture. 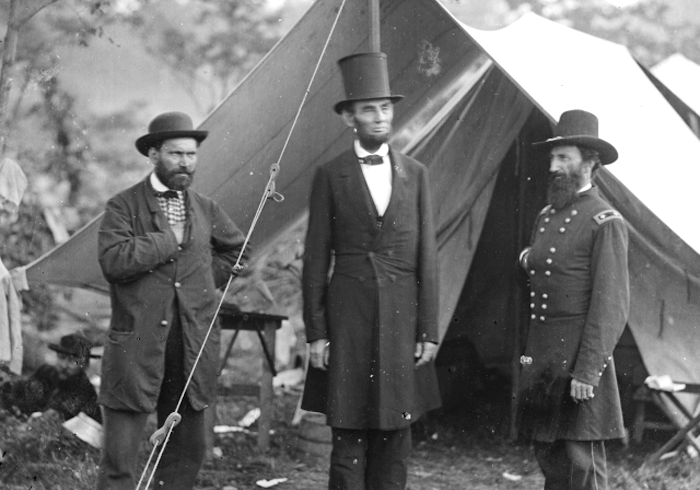 In 1864, Abraham Lincoln won re-election as President of the United States and he continued the war effort. In 1865, Ulysses S. Grant captured the Confederate Capital Richmond, Virginia. As the war came to a close, Abraham Lincoln supported a re-unification of the north and the south. Just days after the end of the American Civil War in 1865, Lincoln was killed by Confederate sympathizer John Wilkes Booth at Ford's Theatre. Abraham Lincoln was such an iconic figure in American history that many old time radio show dramas were scripted about his life. Some shows featured his early days as the son of a pioneer; some the historical drama shows like Cavalcade of America produced almost a dozen of radio shows about Abraham Lincoln. Crime Classics and 13th Juror cover the assignation of President Lincoln. Even Ripley's Believe It or Not has and episode with dramatic sketches with Abraham Lincoln. Be the first to comment on "Abraham Lincoln"